If you're all about heart rate-based training, Polar Beat is one of the best apps out there to track those BPMs. If you have a heart rate monitor made by Polar, that is. And now the sports watch giant has decided it wants to make one its companion apps more insightful by adding smart coaching features to help you get the most out of your sessions. 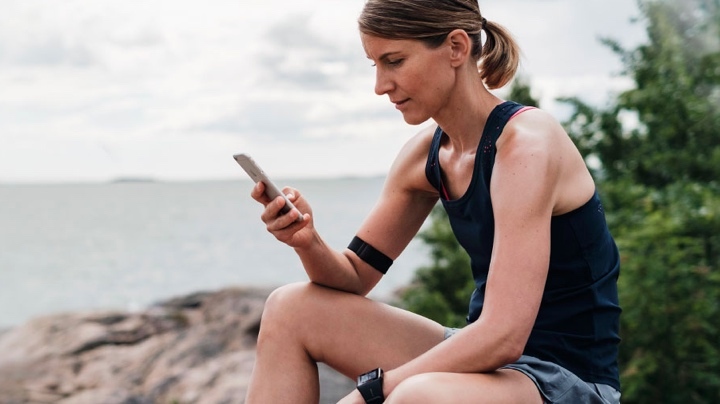 Once you've paired one of Polar's heart rate sensors, like the Polar H10, H7 or the Polar OH1 HR armband to the app, you'll now see the option to tap into four new features that should prove useful during and after workouts. The first is 'Fitness Test', and provides a five-minute test to gauge current fitness levels. 'Energy Pointer' will provide real-time guidance to reveal the main effect of your workout, while 'Benefit Target' enables users to set goals and get voice-based, real-time guidance to let you know how you're progressing towards those goals. Last up is the 'Running Index', which provides a score based speed and heart rate data to offer insights athletic running performance and running efficiency. All of the new features are free to access and will be available on the iPhone and Android versions of the Polar Beat app. In addition to the new Beat features, Polar is also rolling out new colors for its HR chest strap and armband, adding melange grey, melange orange and melange turquoise options - good for those who want something more eye-catching to work out with in the gym. We use the H10 and the OH1 for our in-house HR accuracy testing, so we're already big fans of what Polar has done with its heart rate monitoring wearables. The addition of these new smart coaching features means they're now going beyond simply churning out data and are now putting the biometric information to further use.